Michele Uhl is a diploma graduate of Mount Carmel School of Nursing and obtained her BSN from Northern Kentucky University. She is a licensed massage therapist and is trained in CranioSacral Therapy, Reflexology, Healing Touch, Reiki and Guided Imagery. Most of her clinical career included maternal-child health and hospice as well as community nursing as a health educator. She also has a private nursing practice at her home. Michele lives outside of Cincinnati, Ohio, at a quiet, peaceful lake with fabulous views of sunrises and sunsets. She is the mother of two adult children and three grandchildren who are referred to as “The Grands,” since they are! As a nurse with 42 years’ experience, I have added new tools to my “nursing toolbox” throughout my career, always with a holistic approach. First, I went to massage school, then I added therapies I saw and experienced as enhancing my holistic approach: CranioSacral Therapy, Reflexology, Reiki, Guided Imagery, and Healing Touch. I am always searching for avenues that can access deep healing. I didn’t realize I would find a technique that enhanced all these modalities at the 2016 AHNA conference! I met Dr. Linda Bark at the Wisdom of the Whole information booth and she offered me a free coaching session on the spot. I was conflicted about starting a twenty-four month Nurse Practitioner program and how available I could be to my son and daughter-in-law as they had their third child in the fall. Linda led me through the options tool and there was the answer in the somatic resonance of my body! I was hooked on the Wisdom of the Whole approach! I called my new and exciting learning adventure “The Encore Plan” and it was going to revolutionize my private nursing practice as a nurse healing therapist. And it has, but I will get to that in a moment. I returned home re-energized from the entire conference and excited about my new Wisdom of the Whole classes that would start in August, however I had a major shock when I arrived. Click here to continue reading. 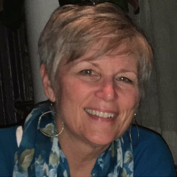 This entry was posted in Grads in Action, WOW Blog and tagged career, Coach, coach training, encore career, featured graduate, health coach, life change, Linda Bark, nurse coach, purpose, Relationships, success. Bookmark the permalink.